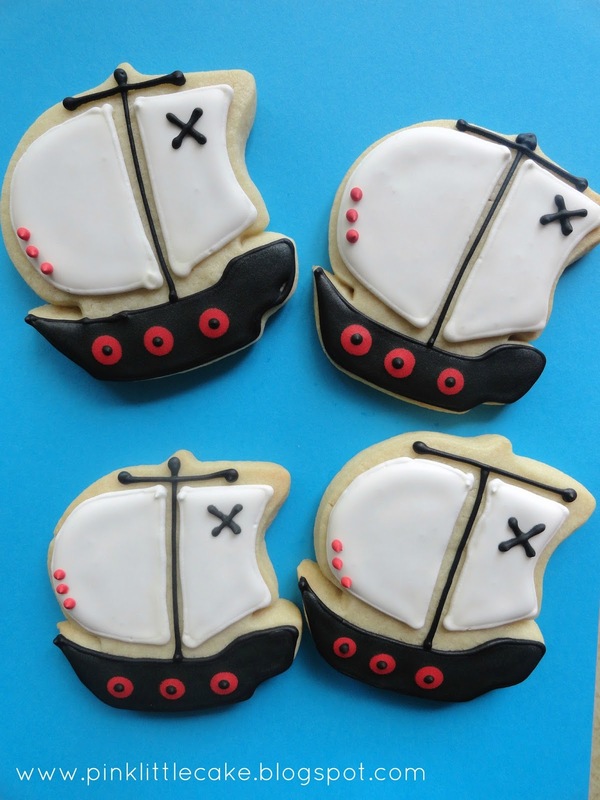 I created this Pirate Ship Cake and cookie favors a few months ago for a really good client of mine. 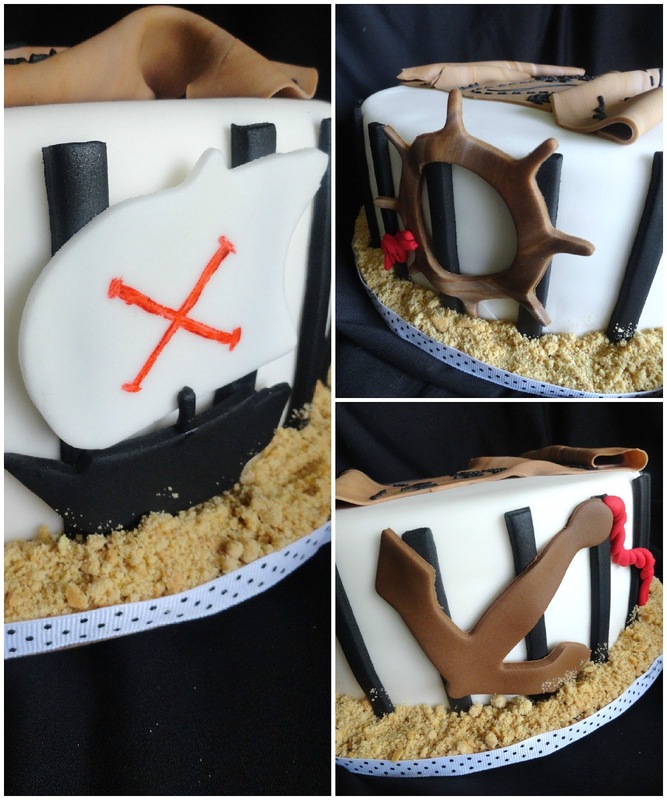 Her daughter was celebrating her birthday with a Pirate theme. 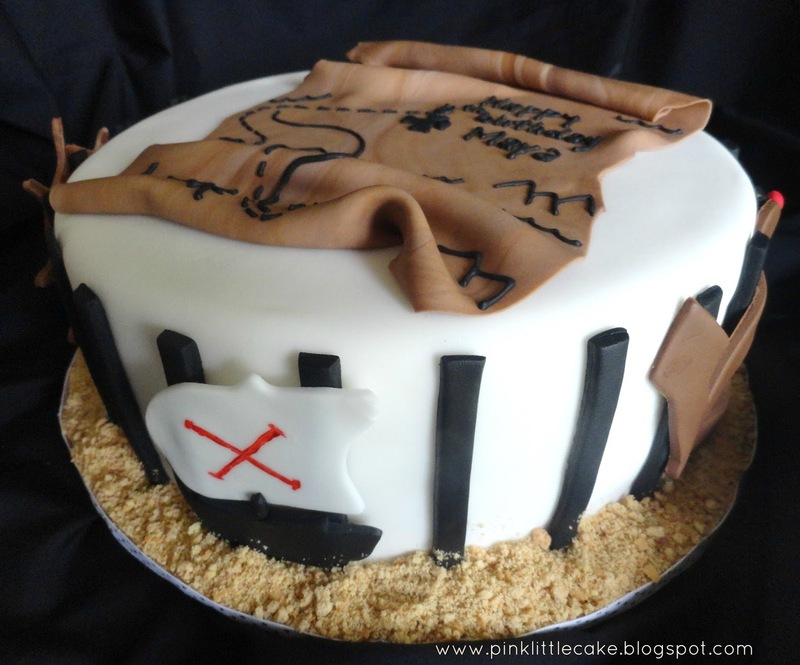 All the details are handmade by me. 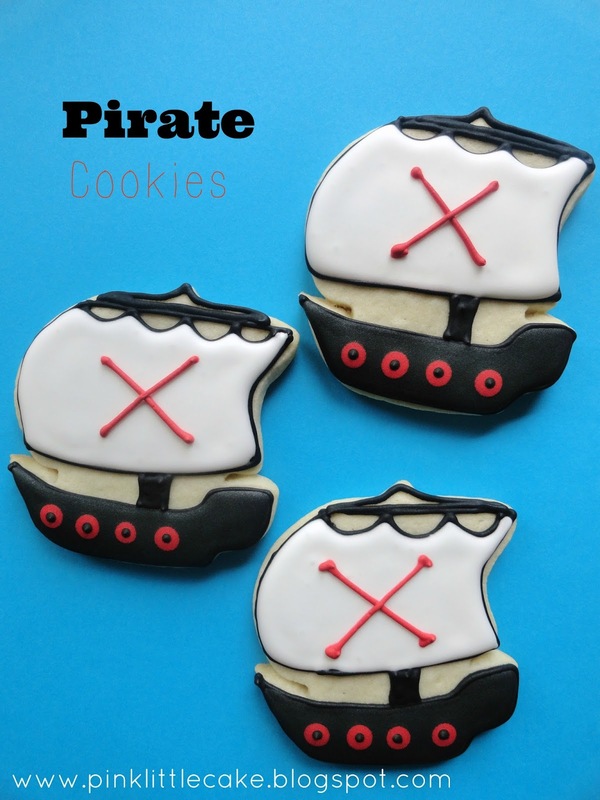 Pirate Ship cookie favors were giving away in goody bags for the guest to take home. 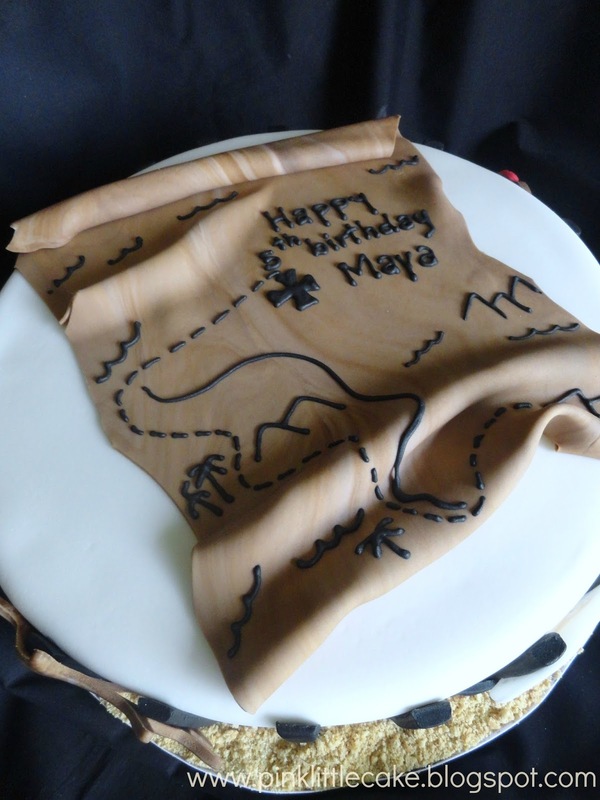 I created 2 different designs using the same colors as the cake, black, red and white.